Does your business contain multiple bathrooms with multiple toilets and/or urinals? Are those units more than 5 years old? You may benefit from toilet and urinal replacement or repair. Often, toilets and urinals go overlooked (as does most plumbing) as we navigate through our day-to-day. But a running urinal can mean money down the drain, and an inefficient toilet can be a waste. Let us replace your old fixtures with modern urinals and toilets, and you’ll notice a serious impact on your water bill. 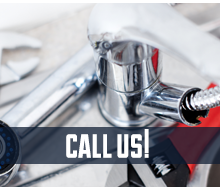 Call on our pro plumbers today to get plumbing appliance replacement and repair! Start saving bucks and stop wasting water!